Back in the July 2015 issue of Sound On Sound, I reviewed Ueberschall’s Flugelhorn and Trumpet 2 sample libraries, both part of the company’s Instrument series for Elastik. The libraries in this series forego the construction-kit approach of the genre–based Elastik collections and, instead, are built on a series of solo instrument phrases/licks that you can piece together to form a complete performance. In this case the instrument in question is the flute and, while there are some beautiful (and very playable) sample–based flutes available as virtual instruments, there is always a place in a composer’s toolkit for phrase–based samples of a real instrument played by a real human. 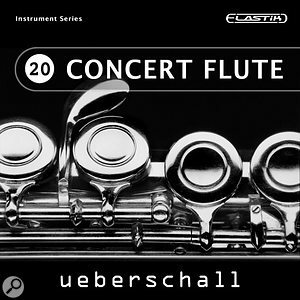 Concert Flute provides around 800MB of samples and contains nearly 1,000 individual musical phrases. Given the large number of phrases, thankfully, the library is arranged into a number of sections and these are organised by playing style — legato, staccato, trills — with sub–folders within a specific style containing a goodly selection of phrases that are related in terms of the style, intensity, register and sound. Delve down to a specific sub–folder, therefore, and it is easy to find a selection of phrases that can be linked together to build a complete melodic part or lead line. In the main, the original recording tempos span the 70 to 120 bpm range, although Elastik really does make it possible to stretch/compress the material a good bit further than this before audio artifacts become apparent. The recordings themselves are presented dry with no pre–processing applied. This obviously gives the user maximum flexibility, but does mean you have to apply your own EQ, compression or reverb as required. The sound is pretty authentic, though, and every detail of the performance — including those elements that make it obvious these are ‘real’ performances — comes through clearly. That’s a good thing by the way; Concert Flute sounds like an excellent player is right there in the room with you. Perhaps the other important thing to note, however, is that the word ‘Concert’ in the title doesn’t mean this is a collection of orchestral–style phrases. I suspect there are melodies here that you could use in a more traditional orchestral composition, but where Concert Flute really excels is for pop, jazz or soul genres. If you need to recall the classic sound of the flute from 1960s pop recordings, then this is a sample library that will put you in that musical space very easily. 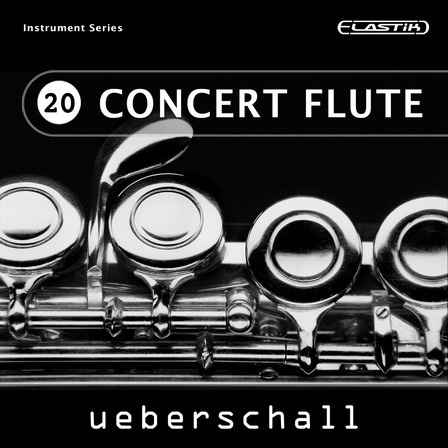 That might suggest Concert Flute is a bit of a niche product (and perhaps it is) but it sounds truly genuine within that niche and, for busy media composers, provides instant access to that particular musical vibe with a minimum of effort.